Mila Kunis has been making us all laugh since way back when she was Jackie on That 70s Show. In 2018, she teamed up with the always hilarious Kate McKinnon and starred in The Spy Who Shagged Me. That was a hilarious, globetrotting adventure with two funny-ladies in way over their head in the world of espionage. She dove headfirst into Wachowski science fiction with Jupiter Ascending. She lit up the screen with the apocalyptic graphic novel adaptation, The Book of Eli. Kunis even had the courage to star in the thankless role of the Wicked Witch of the West in the fanciful Oz, the Great & Powerful. Admittedly, some of these movies were misfires, but the point is that Mila Kunis is always taking chances. The following are the five best roles of Mila Kunis’s career. An argument can be made that Nicholas Stoller’s Forgetting Sarah Marshall is one of the best romantic comedies of the past twenty years. It is hilarious, smart, sweet when it needs to be, and full of well-defined, well-developed characters. Jason Segel is Peter, the smitten boyfriend who escaped to Hawaii to get over being dumped by his starlet girlfriend. However, she is staying at the same Hotel. Sarah Marshall is a lost young woman who is riding her wave of fame right toward famed rocker, Aldous Snow (Russell Brand) All sorts of hijinks surround this trio. Mila Kunis’ Rachel is right smack in the middle, seemingly the only one with a level head on her shoulders. It is very refreshing to see such a strong, confident woman in a romantic comedy where the two men are complete train wrecks. Mila Kunis’ role of Jamie in 2011’s Friends With Benefits succeeds for many of the same reasons as Forgetting Sarah Marshall. She is not simply a girlfriend. Her and Justin Timberlake’s Dylan have a mutual interest in their arrangement. They became fast friends when she recruited him for a big-time advertising job in NYC. Both of them are vastly focused on their careers and just don’t have much time for relationships. Sure, it is a wholly predictable romantic comedy, but the two leads have enough charm and charisma to elevate the material beyond its tropes. Darren Aronofsky’s Black Swan is truly one of his greatest films. Natalie Portman’s performance as Nina is an incredible sight to behold. However, one must not forget that Mila Kunis was integral in that film in so many ways. Kunis’ Lily is the greatest threat to Nina’s starring role as both the White and Black Swan. While Nina has the technical proficiency of the White Swan down pat, the director tells her she needs the raw passion of Lily to perform the Black Swan. Mila Kunis’ magnetic presence of Lily is drastically important for the paranoia, hatred, and psychological unraveling that Nina goes through. Kunis is the fulcrum by which Portman’s delicate psyche was balanced. Truly one of Mila Kunis’ best roles. The Bad Moms franchise is a very funny one. Mila Kunis pairs up with her Forgetting Sarah Marshall costar Kristen Bell and the always hysterical Kathryn Hahn in the film. Their characters are moms who are almost overwhelmed with the seemingly thankless job of being a parent. Bell’s Kiki is an oppressed stay-at-home whose husband insists she takes care of everything with the kids. Hahn’s Carla is a hot mess who approaches her kids with a blase attitude. Then there is Kunis’ Amy who tries so hard to take care of her kids, her job, and her adulterous infantile husband. Then the switch in their collective brain flips and they go off. This is a funny and effective female empowerment movie. A lesser film would show these woman slacking off as selfish and crude. Bad Moms shows them getting a bit of relief and sanity in the insane world of parenthood. When Family Guy first premiered, Lacey Chabert was the voice of the Griffin family’s black sheep daughter. However, Mila Kunis took over soon after and has been doing the voice of Meg Griffin ever since. 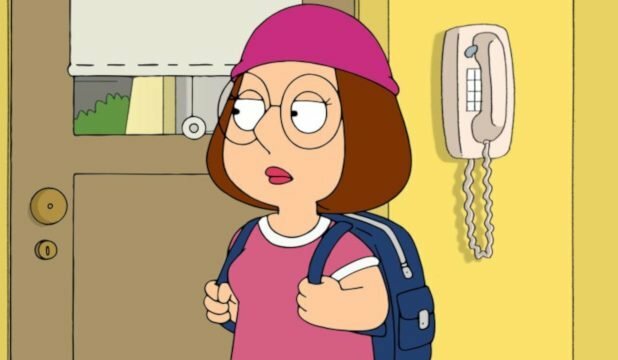 Kunis is one of the greatest voice performers on the show, because she brings a sense of absurd sadness and misplaced confidence to Meg, despite the character constantly being the punching bag of the family.